The Monster World Rally Team has released pictures and video of Ken Block’s 2010 Ford Fiesta livery that will make its debut at the opening round of the Rally America series, the Sno*Drift Rally from 29-30 January. Earlier this month, Block, co-founder of DC Shoes and famous for YouTube rally car clips, announced the Monster World Rally Team to campaign a Ford Fiesta in the Rally America Championship and X-Games, plus a Ford Focus in the World Rally Championship. The Sno*Drift Rally, held in the middle of winter in Michigan, takes place where snowmobiles and Elk probably outnumber cars! Conditions in Michigan are hard to predict, but the combination of fresh snow and glazed ice can always be expected. 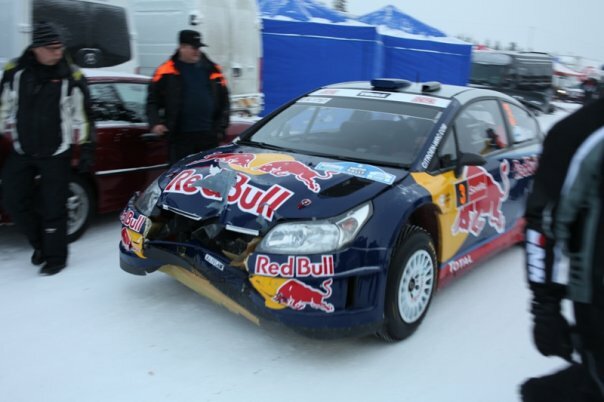 Under Rally America rules cars are not allowed to use studded ice tyres; so finding traction is extremely difficult. If there is good snowfall in the days leading up to the rally expect to see large snow banks lining the roads. These snow banks can be a help and a hazard for drivers as they try to stay on the road.